He almost died electrocuted when he was peeing; he was born with extreme misfortune which forced him to learn the daoist priest teaching. How hilarious was it when he met a ghost? 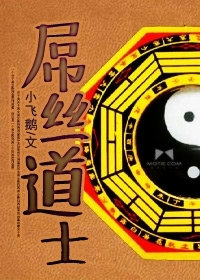 Read a wonderful story filled with excitement and adventure; in The Lame Daoist Priest. My old man really had no common sense when he chose my name. He was just watching a movie on television, Li Xiaolong’s Way of the Dragon movie. It was then that dad suddenly experienced a heavenly revelation and pounded the table: “It’s Li Xiaolong!”. And thus, due to such a heavenly coincidence, my father named me Xiaolong after Bruce Lee’s name. Since the beginning when I was born, bad luck always followed me and ONLY happened to me, I even almost died electrocuted when I was peeing under the electric pole. Though timid, Xiaolong himself was a bit superstitious but that did not outweigh his disbelief, reluctantly he believed the dying old man, even if it felt like the old swindler was just making another joke out of him. It wasn’t until when he was shown what a ghost would look like did he start to accept “the reality”. The dying old man eventually died, and his spirit proved to him that he was seeing “the real thing”. He left him a legacy of 50 thousand RMB in cash, and 1.5 million debt in papers. But his most important legacy were the Dao teachings compiled in a thick book and his follower, the ancient female high-leveled spirit, Murong Daiyu who became Xiaolong`s half-master afterward. The female spirit said gently: “You are now the succeeding disciple of 54th Niu Tian Daoist master, as well as the sole candidate for 55th generation head.